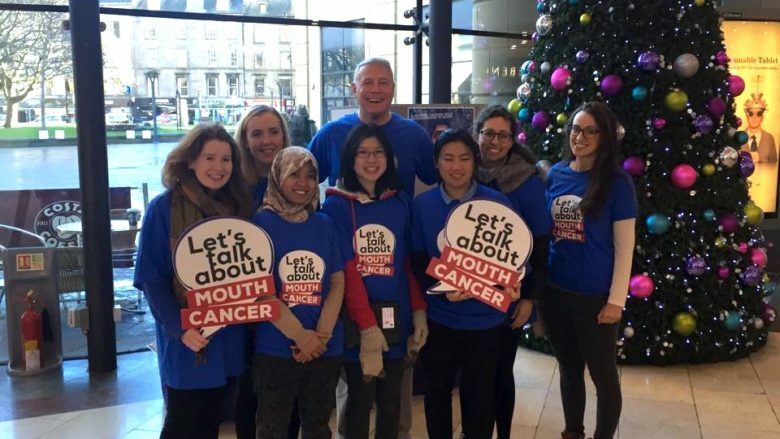 Get behind our campaign during Mouth Cancer Action month 2018…..and beyond! Share your selfie using hashtag #mouthcheck to get people talking about checking their mouths for cancer during November and beyond. If you are a dentist or other healthcare professional why not get a selfie with all your staff and share it on your webpage with links to our website so patients can find out more? When tweeting, posting on facebook or using instagram please use #mouthcheck to promote Mouth Self Examination. Share our video on your social media platforms or put it on loop in your waiting room!